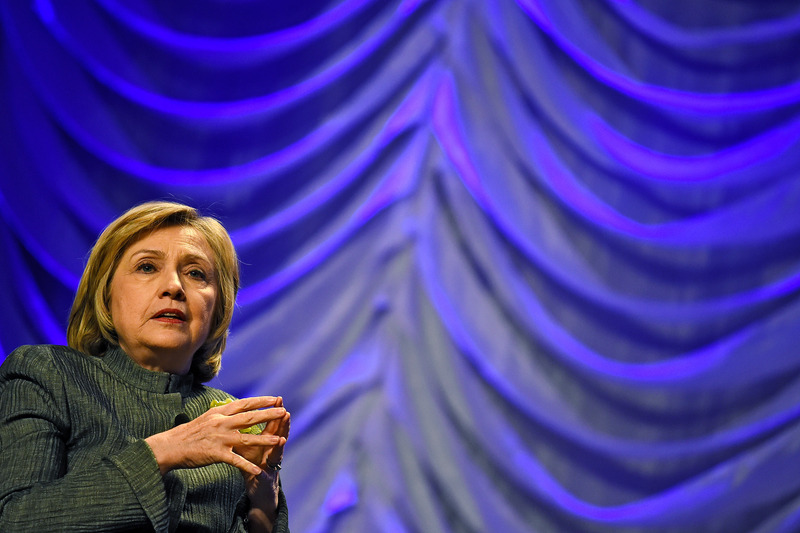 Hillary Clinton’s handling of Boko Haram: Are critics justified? As American experts hit the ground in Nigeria to help advance the search for nearly 300 innocent schoolgirls kidnapped by Boko Haram, some Republican lawmakers back in the United States are rallying around a politically opportune argument about the Islamist terror group's growing threat over the past several years. Their case: Under the tenure of then-Secretary Hillary Clinton, the State Department declined to add Boko Haram to its official list of foreign terrorist organizations, despite the group's increasingly violent behavior. Though the CIA can gather intelligence on terror groups regardless of their status on a State Department list, official designation unlocks more robust means to combat them, since it triggers the Authorization for Use of Military Force. The lacking supervision, some Republicans suggest, left the group capable of carrying out its most recent shocking mass abduction. "For years, Boko Haram has terrorized Nigeria and Western interests in the region with few consequences," Sen. Jim Risch, R-Idaho - who with seven other GOP senators offered up legislation last year encouraging Clinton to designate the group - told the Daily Beast. "The U.S. government should have moved more quickly to list them as a terrorist organization and brought U.S. resources to track and disrupt their activities. "The failure to act swiftly," he concluded, "has had consequences." But it's not so black-and-white, reports CBS News State Department Correspondent Margaret Brennan. Debate within President Obama's administration, roiled initially by Boko Haram's 2011 strike on the UN headquarters in Nigeria's capital, was divided during Clinton's time as secretary. Counterterrorism officials in the State Department, Justice Department and FBI all favored officially designating the group as an "official terrorist organization" based on intelligence that some of its members were tied to al Qaeda. The Bureau of African Affairs - and, notably, Nigerian leaders - did not. The rift was the product of questions about whether official designation would elevate Boko Haram's status by providing international focus to a domestic militant group, and also give the notoriously brutal Nigerian military license to use unbridled force against any and all opposition. Additionally, designation posed complications for any aid workers who wanted to help out in the northern territory controlled by Boko Haram. Clinton landed on splitting the difference. In a decision made jointly by African Affairs and the Counterterrorism Bureau, the State Department designated as terrorists three Boko Haram individuals - leader Abubakar Shekau and senior leaders Khalid al-Barnawi and Abubakar Adam Kambar - rather than the group as a whole. After further review and "consultations with the Nigerian Government and other partners," a Counterterrorism spokeswoman told CBS News, it was determined that designating Boko Haram and its offshoot Ansaru "was both appropriate and effective in helping advance our larger counterterrorism strategy." Clinton's successor John Kerry added them to the official list of foreign terrorist organizations in November 2013. Politicization of any role Clinton may have played in Boko Haram's current status won't likely subside any time soon. Still, the early 2016 frontrunner for the Democratic presidential nomination isn't shying away from the subject. On Wednesday, Clinton called the kidnappings "abominable - it's criminal, it's an act of terrorism and it really merits the fullest response possible, first and foremost from the government of Nigeria." And earlier in the week, she wrote on Twitter: "Access to education is a basic right & an unconscionable reason to target innocent girls. We must stand up to terrorism. #BringBackOurGirls."